T-Mobile G2 With Google was introduced today by T-Mobile USA featuring fast 4G speeds and web browsing experience with Google services integration. Designed by HTC, the T-Mobile G2 is a very powerful smartphone and successor of the T-Mobile G1, which comes equipped with a 3.7-inch unique hinge design screen that reveals a full QWERTY keyboard when opened. 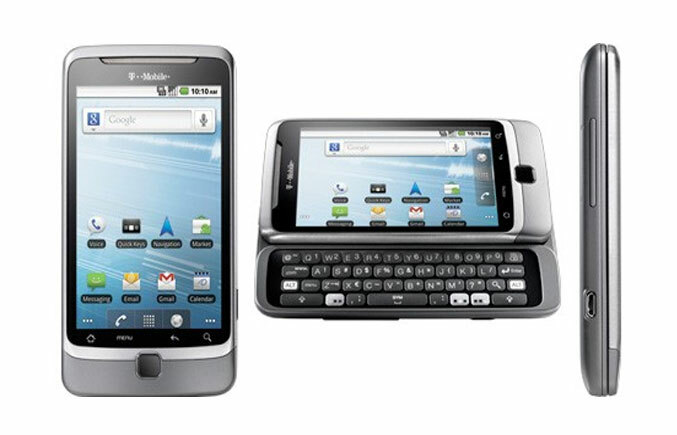 The T-Mobile G2 allows the consumer to customize the home screen panels of his smartphone thanks to the Android 2.2 OS. The Android Market has more than 80,000 applications available for immediate download. The T-Mobile G2 also comes with integrated Google Applications such as Google Voice, Voice Actions, Google Goggles, Google Talk, Google Earth, YouTube, and much more. Voice Actions by Google allows consumers to control their mobile device with voice commands. The G2 smartphone is equipped with a Snapdragon MSM7230 mobile processor, combining the new HSPA+ capabilities of Qualcomm and second generation applications processor, offering an 800MHz CPU. Thanks to this, the G2 delivers great performance, long battery life and many unique features. Advanced features like a high-definition video camera that can record 720p videos and a five megapixel camera with LED flash and autofocus are also included in the T-Mobile G2 with Google. The G2 comes with an 8GB microSD memory card, which is also expandable to 32GB. The T-Mobile G2, designed by HTC, with Google, will be soon available in the United States on T-Mobile.